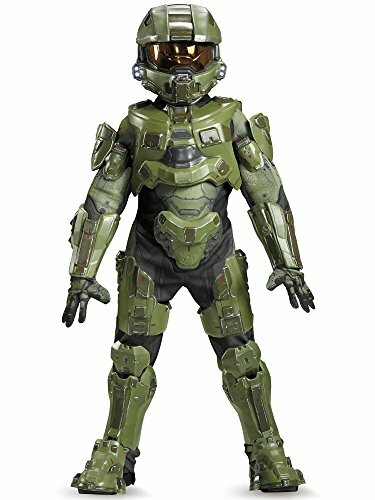 Defend the Earth from the threat of the Covenant with the Supreme Edition Halo Master Chief Costume. This incredible collector edition model features a quilted jumpsuit, molded armor pieces, gauntlets, boot tops and a two-piece helmet. 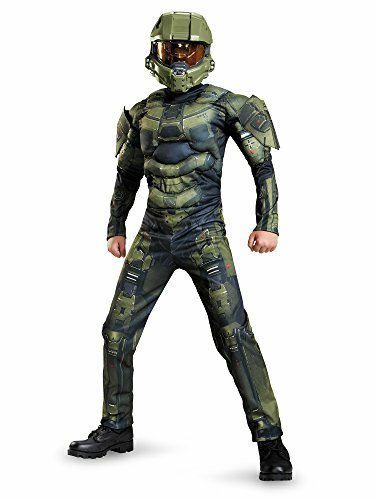 Perfect for Halloween, conventions or just a dedicated fan, this high quality Master Chief costume will definitely turn heads. 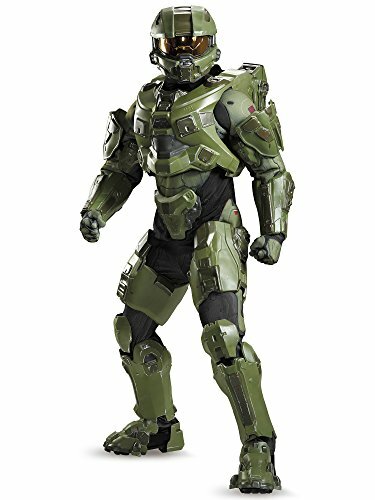 This is an officially licensed Halo 3 product Helmet is of collector's edition quality Return Policy Costumes and wigs have a shorter exchange/return period than other items. We cannot accept returns, nor issue any refunds, for products that have been worn or used in any way. Items must be returned in original packaging with original merchandise tags within 14 days of the purchase date. Spartan Edward "Eddie" Malcolm buck is a Spartan-iv super soldier who served with the UNSC marine Corps throughout the human-covenant war. 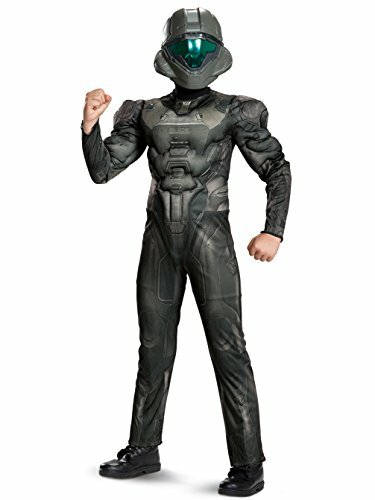 Buck is a playable character in the video game Halo 5: Guardians and now you can wear his costume suit with this awesome Muscle jumpsuit and mask. 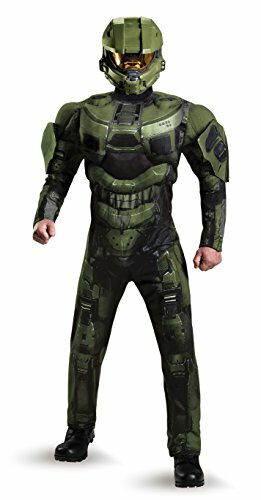 Every kid has a hero and for some kids it doesn't come in the form of your traditional superhero character such as Batman or Superman, sometimes it’s someone a little more serious, like Master Chief from the Halo video game series. 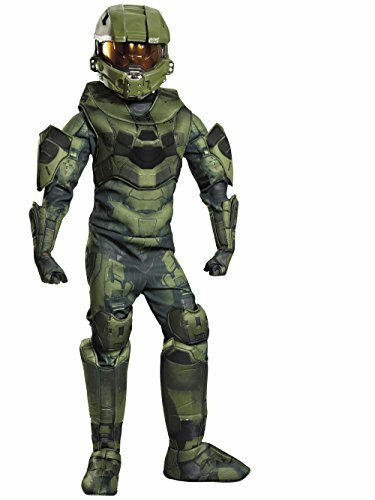 This Master Chief Classic Child Costume comes with everything your child needs to transform into the video game character this Halloween. 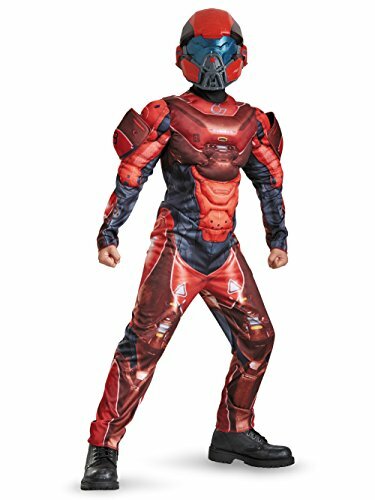 Includes: Jumpsuit with attached shoulder pieces and half mask. This is an officially licensed HALO product.